Located just outside of Lindos in Vlycha Bay, Krini Eleni is just a 5 minute walk to the beach, a selection of tavernas, bars and a minimarket. 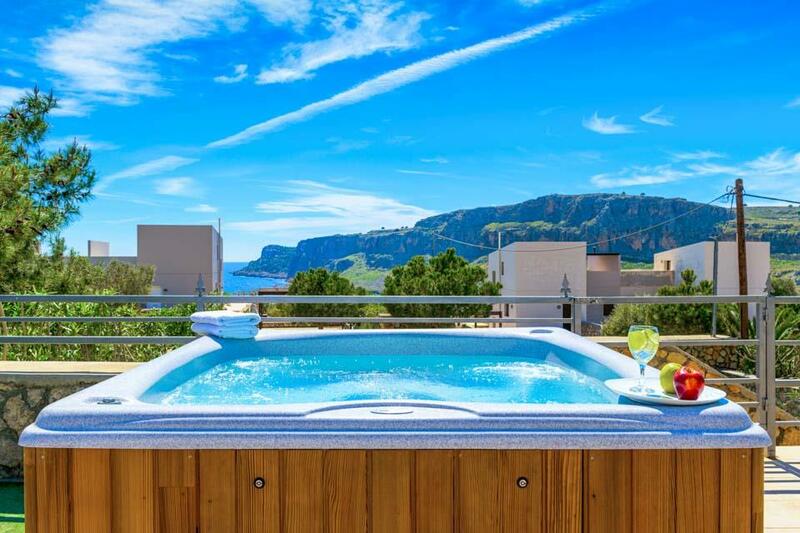 Krini Eleni has it all for the perfect Solmar villa experience, located just outside of Lindos in Vlycha Bay, the beach, a selection of tavernas, bars a minimarket all within a 5 minute walk from your villa. 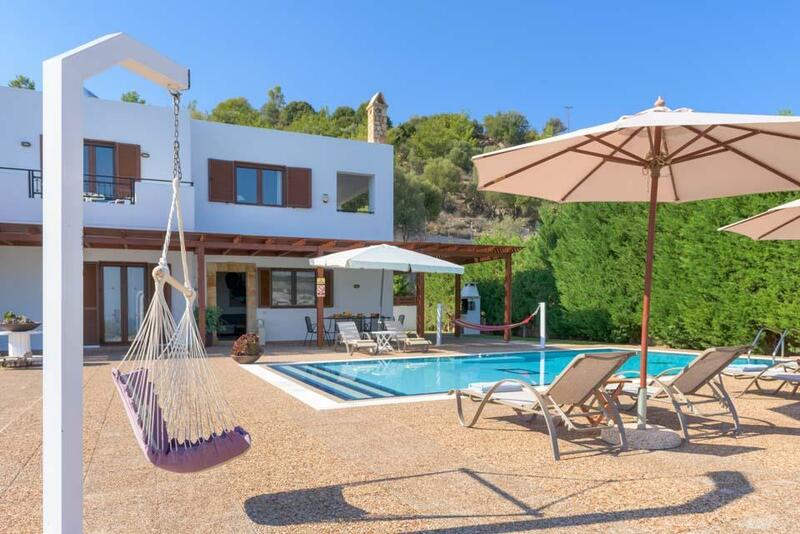 This charming three bedroom villa has been personally furnished by its proud owner giving the whole property a light and airy feeling. The villa comes with air-conditioning in the living area and all bedrooms and free WiFi, table tennis & pool table. 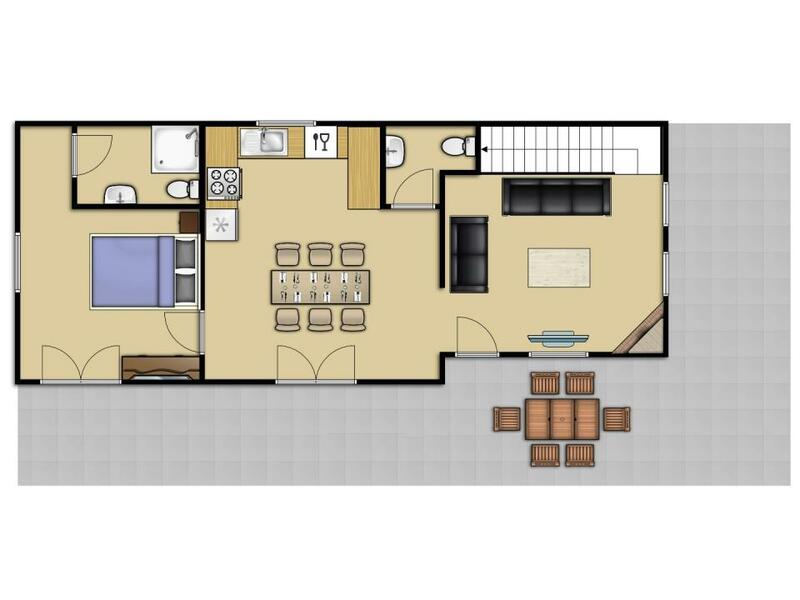 On the ground level is a fully equipped kitchen with dining facilities leading to the lounge with patio doors outside to your private pool. 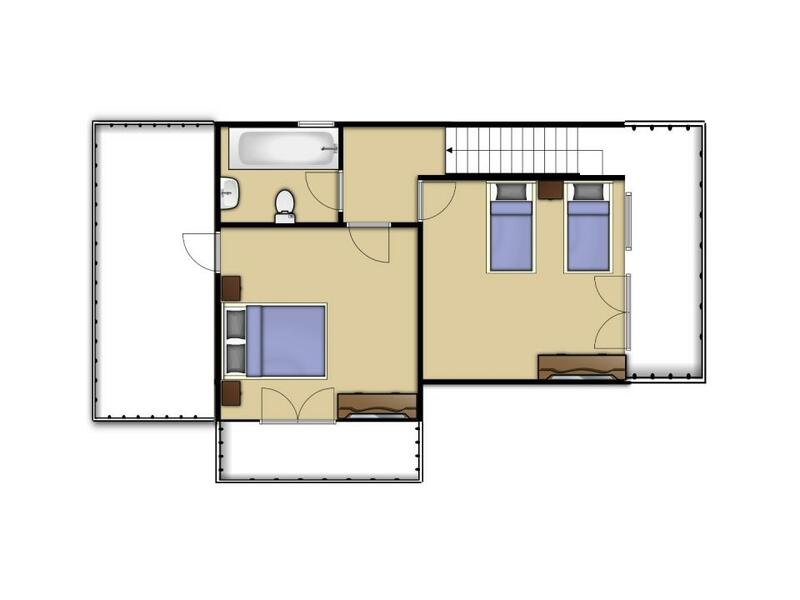 There is also a double bedroom on the ground floor with a shower ensuite, upstairs there is a double bedroom and a twin bedroom both with balconies and share a bathroom. 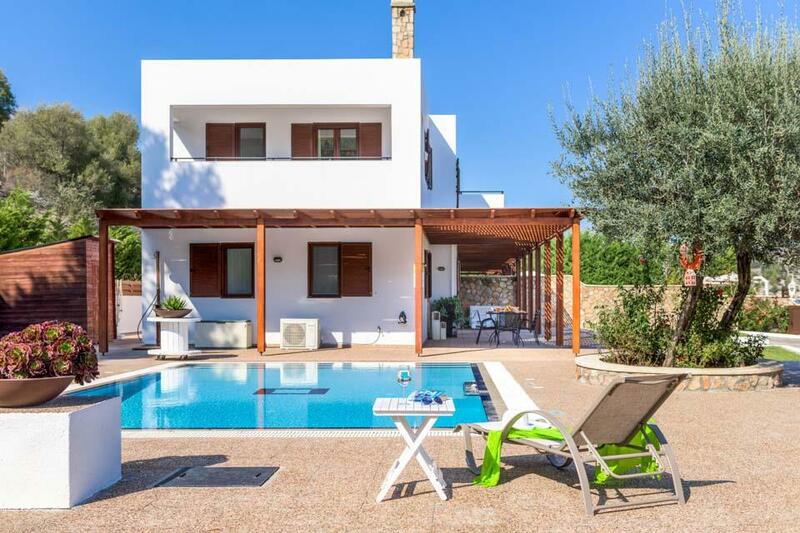 Outside your partially lawned garden is fully enclosed with wooden panel fencing to give you privacy, a large pergola wraps around the villa with further dining facilities and sun beds with umbrellas are laid out around your private swimming pool. The historical village of Lindos with its towering acropolis is only a 10minute drive away. 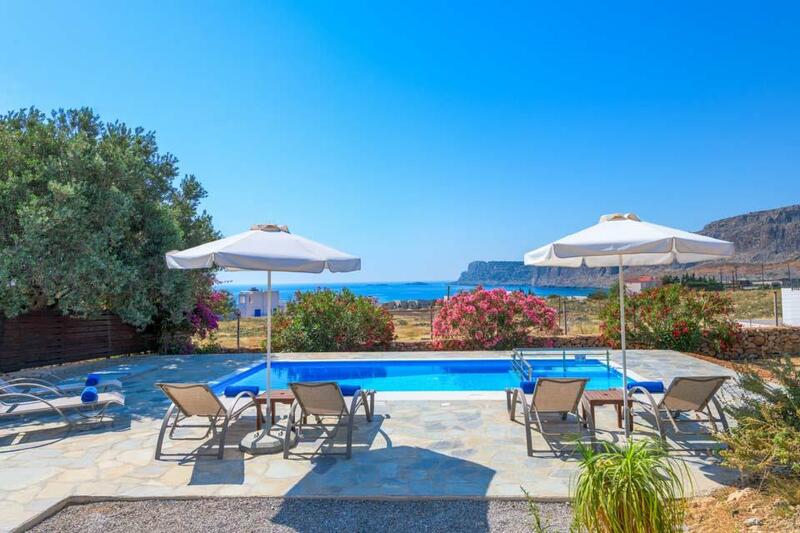 Its sister villa Krini Panos is located next door making these villas an ideal choice for larger families or friends.